Plan your trip today to “No Limits Texas” with PRIMESPORT! Enhance your experience with exclusive access to pre-race events, garage tours, and celebrity appearances! If you are a racing fan and looking for an experience of a lifetime, there is no safer ticket and travel provider than PRIMESPORT. Get your AAA Texas 500 ticket package from PRIMESPORT, the Official Travel Partner of Texas Motor Speedway. Purchase your package today so that you can witness all of the action that is "No Limits Texas" in person. Let PRIMESPORT handle all your 2019 Texas fall race travel needs so that you can kick back, relax, and enjoy a weekend of racing. Texas Motor Speedway, located in Fort Worth, Texas, is the home of the AAA Texas 500. Originally known as Texas International Raceway, it changed to its current name soon after to reflect its ownership, SMI’s, traditional Motor Speedway title. Texas Motor Speedway also hosts the O'Reilly Auto Parts 500 in early April. The AAA Texas 500 is one of the newer races on the NASCAR schedule, only having been run since 2005. 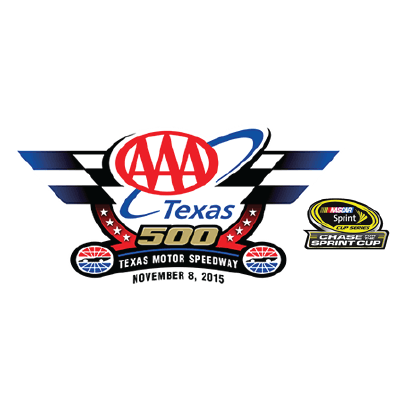 The AAA Texas 500 is annually held in early November. In 2008 Carl Edwards became the first driver to sweep both the AAA Texas 500 and the Duck Commander 500. Jimmie Johnson has dominated the field and stands alone with the most races wins at 5. Jimmie Johnson looks to with the AAA Texas 500 for a record 5th consecutive time.